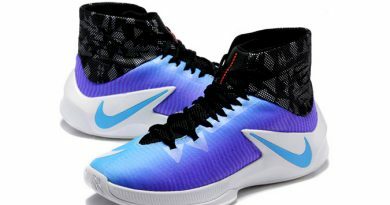 Nike Hyperdunk is probably the most versatile shoe line in today‘s basketball sneaker game. Each and every year we receive a budget friendly model with reliable & proved performance. 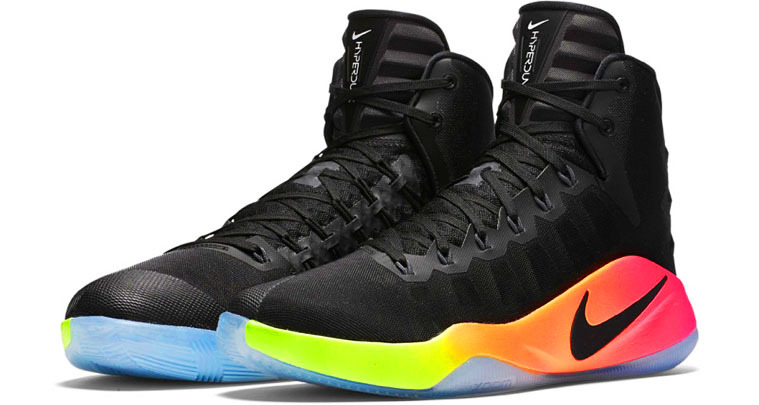 However, 2015 was really unsuccessful year for the Nike Hyperdunks. Let‘s be honest, they were far away to be even a decent sneaker to hoop and that design, personally, super ugly. So, today we have the Nike Hyperdunk 2016. I’m expecting some big things from it, because this shoe has all the tools, newest tech to make its way into the TOP 10 of 2016. Let‘s see if Nike will bounce back after unsuccessful run in 2015. 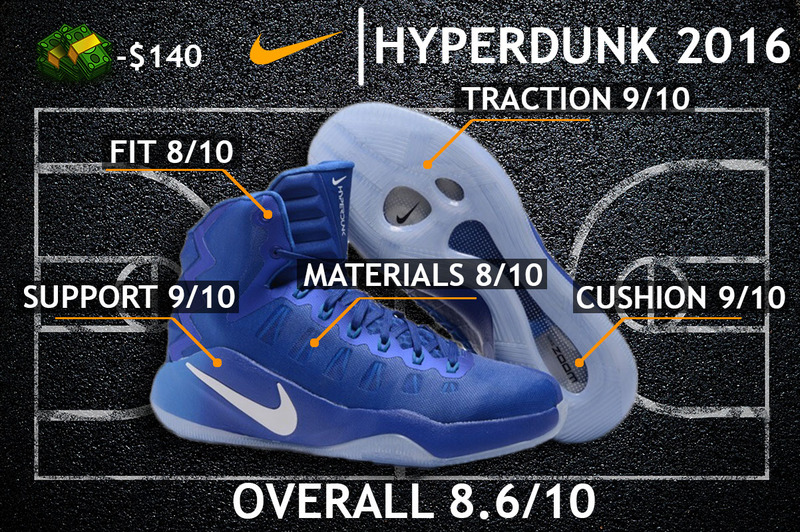 Welcome to my Nike Hyperdunk 2016 Performance Review. Let‘s go! Best Places to Buy: FINISHLINE | NOW ON SALE! 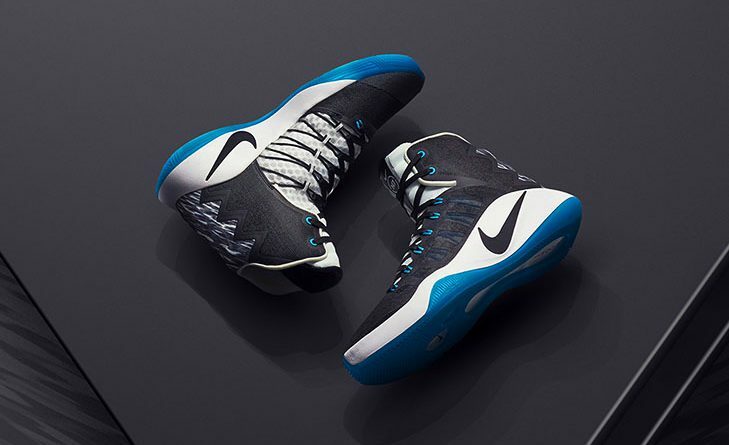 The Hyperdunk 2016 features Nike’s ordinary setup – Mesh with Fuse backing for extra durability. 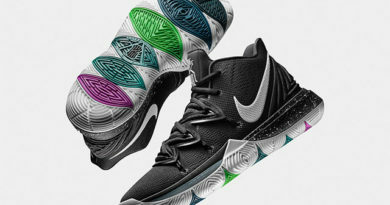 I really dig this setup, of course, this isn’t the first time Nike uses it in the Hyperdunk line. So I can strongly state that this sh*t works great. However, the upper has a few new updates & tweaks that make this setup different from what we used to see. The forefoot, midfoot (outer) & heel areas are covered with screen Mesh – solid support, decent breathability and unbeatable durability. Although, this isn’t the most comfortable material of all time, it does require a short break-in time. But still, it does manage to offer enough comfort at the level where you can feel confident on court. Now the lateral section of the midfoot features textile Mesh which is way different from that screen Mesh. Enjoyable transition while moving, no restrictions and tons of comfort is what you’re getting out of this section. I think this is a small detail that makes big differences on overall fit. The midsole has segmented ZOOM Air cushioning – heel and forefoot Air units, so it’s not a full-length ZOOM as some people are saying. On top of that, there’s a soft Phylon layer which adds nice amount of impact protection & bounce. I really do like how these Air units work together with Phylon midsole – bouncy ride, tons of impact protection, quick response while keeping solid court feel. Again, this is versatile setup that any type of player will enjoy playing. 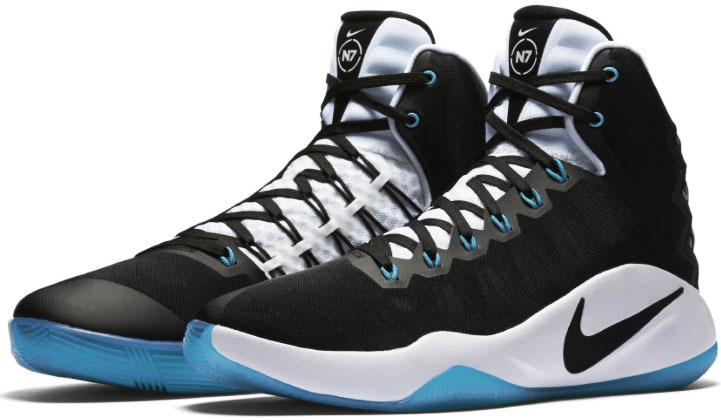 Herringbone traction pattern made its way onto the Hyperdunk 2016 and it performs straight out BEASTLY. Regardless of any court conditions the aggressive herringbone traction bite the floor exceptionally well – instant stopping power and reliable move coverage, everything is here. Of course, on dirty courts you might lose some performance, those damn dust aren’t going anywhere. However, they still kept my feet stable in pretty much any situation, so traction really speaks for itself in this model. I’d prefer softer Mesh in the toe/ankle areas since you can actually feel them while playing. I mean, this by any means not a deal breaker, but it would be nice to receive more natural fit like you’re able to feel on the lateral side. Other than that, the fit is pretty much on point – that textile Mesh on medial side is one hell of a nice. The Flywire cables nicely hug your foot to receive snug & supportive fit, while huge padding inside the ankle collar adds much needed comfort since there’s that screen Mesh. 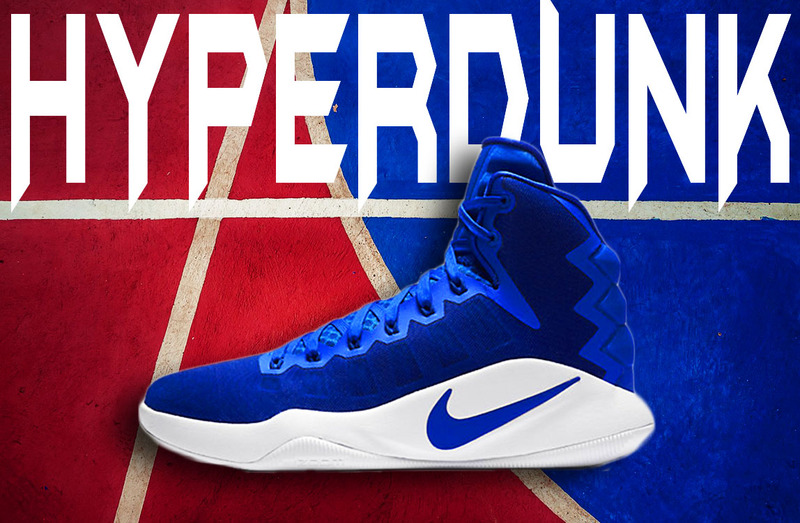 The Hyperdunk 2016 runs a little bit long, so regular/narrow footers might want to go ½ a size down. And for wide footer I recommend going true to size due to wide and bulky construction. Support is truly a highlight of the shoe – sturdy lockdown, solid foot & ankle containment and the whole construction is really supportive. 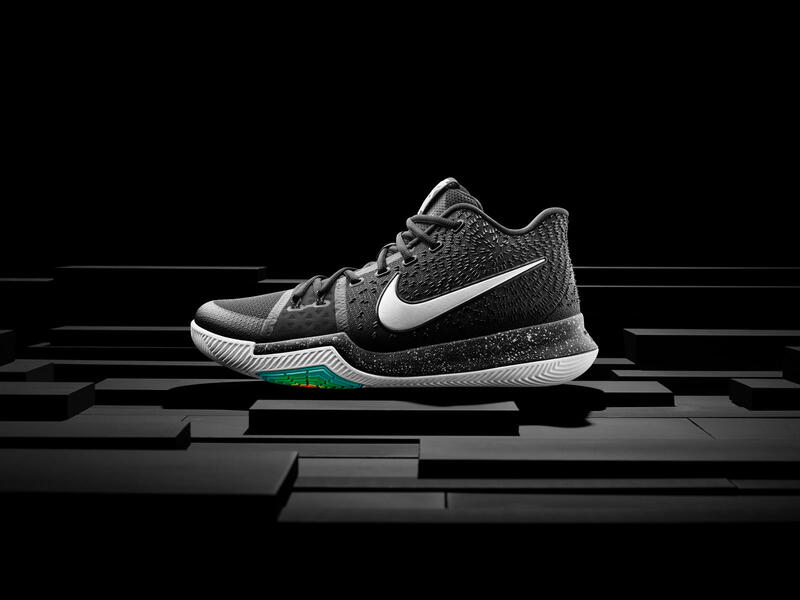 So, if you that type of player who needs killer support in every inch of the shoe – this is your pick. You have six eyelets with attached Flywire cables and two extra eyelets on the ankle collar, so you can really tight the sh*t out of your foot. On top of that, wide construction & outsole offers very stable base underneath your foot. The outsole doesn’t feature any outriggers, but in this situation you really don’t need them at all. There’re two other versions of this sneaker – Low Top & Primeknit. I’m going to review both of them and see which version is the best. Stay tuned! Hope you enjoyed my Performance Review on the NIKE HYPERDUNK 2016. ← Nike Zoom Clear Out REVIEW – More Than A Budget Model?